Wind power is too variable and too unpredictable to provide a serious alternative to fossil fuels, a new study by the Scientific Alliance and the Adam Smith Institute has confirmed. The researchers concluded that, although it is true that the wind is always blowing somewhere, the base line is only around 2 percent of capacity, assuming a network capacity of 10GW. The majority of the time, wind will only deliver 8 percent of total capacity in the system, whilst the chances of the wind network running at full capacity is “vanishingly small”. As a consequence, fossil fuel plants capable of delivering the same amount of energy will always be required as backup. The report was undertaken by the Scientific Alliance and the Adam Smith Institute. Using data on wind speed and direction gathered hourly from 22 sites around the UK over the last nine years, the researchers were able to build a comprehensive picture of how much the wind blows in the UK, where it blows, and how variable it is. They found that, contrary to popular opinion, variability was a significant factor as “swings of around 10 percent are normal” across the whole system within 30 – 90 minute timeframes. “This observation contradicts the claim that a widespread wind fleet installation will smooth variability,” the authors write. Likewise, and again contrary to popular assumptions, wind does not follow daily or even seasonal outputs. There were long periods in which the wind was not blowing even in winter, making it difficult to match generation of wind power to demand. The report concludes that covering these low periods would either need 15 storage plants the size of Dinorwig (a pumped storage hydroelectric power station in Wales with a 1.7GW capacity), or preserving and renewing our fossil plants as a reserve. Most significantly, it found that the system would be only running at 90 percent of capacity or higher for 17 hours a year, and at 80 percent or higher for less than one week a year; conversely, total output was at less than 20 percent of capacity for 20 weeks of the year, and below 10 percent during nine weeks a year. “The most common power output of this 10GW model wind fleet is approximately 800MW. The probability that the wind fleet will produce full output is vanishingly small,” the authors note. The consequence is that many more wind turbines will have to be built than is often assumed, as the capacity of the fleet can’t be assumed to be synonymous with actual output. The findings will deliver a body blow to governmental claims that their current target of generating 27 percent of energy from renewable sources – mostly wind and solar – by 2030 is credible. “If there were no arbitrary renewable energy target, governments would be free to focus on what most voters expect: providing a framework in which a secure and affordable energy supply can be delivered,” commented Martin Livermore, director of the Scientific Alliance. According to the 2013 Renewable Energy Roadmap (the most recent to date), offshore wind capacity reached 3.5GW by June 2013, and onshore capacity reached 7GW in the same month. 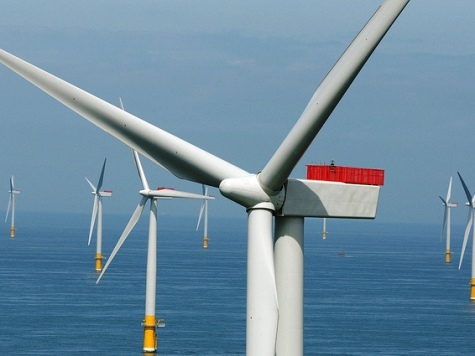 Governmental modelling suggests that offshore wind capacity will hit 16GW by 2020, and 39GW by 2030.